Do you sometimes feel like you’re not doing keto correctly or that things aren’t going as well as you thought they would and you’re not feeling as great as you expected? 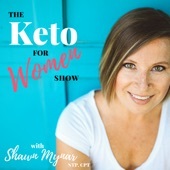 This time in the BEST OF Keto for Women series, we’re taking it back to Episode 60 where I talk about the things I see women do to themselves or their bodies or their diets and how maybe you just need to back off a little bit and make some changes. 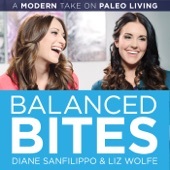 We put so much effort in trying to be healthy and doing all of the things to optimize our health. But a lot of times, all that effort just keeps us in this cycle of not being truly healthy, because it’s hard on our body, it’s stressful, and it’s just too much. Don’t let keto take over everything in your life -- your thoughts, your time, your energy. Don’t let it be as much in the forefront as it may currently be for you. What strategies can we implement to keep our hormones healthy at every age? 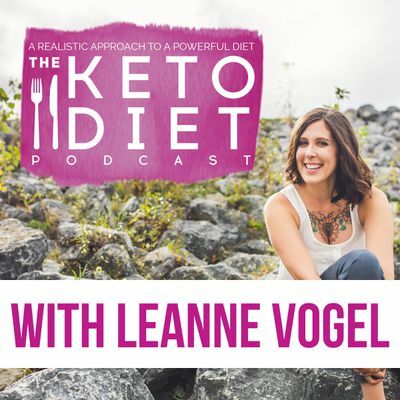 Find out how we can maximize our female health and use a keto diet to do so as we kick off our BEST OF Keto for Women Show episodes by throwing it all the way to Episode 7 with Jackie Eberstein. When there are significant hormone changes, there can be an increase in insulin resistance, which is the first stage of what can ultimately become type II diabetes and a sign of carbohydrate intolerance. Ketones have had such a bad rep especially in the medical profession because they don’t understand the difference between ketoacidosis and nutritional ketosis, but nutritional ketosis has so many benefits. Almost every chronic illness such as cancer and Alzheimer’s disease has an inflammatory component, so cutting carbs enough and keeping your blood sugar stable play a role in anti-inflammatory processes in the body. Cholesterol is the first building block of your hormones. And interestingly enough, there is research that shows that elderly women live longer if their cholesterol is higher. Having high cholesterol is not a disease, it’s actually more of a symptom of your body needing something. Have a healthy lifestyle and normalize your weight. Support your adrenals, pancreas, and liver. Keep your blood sugar stable. Do you know what I’ve been afraid to tell you until now? If you’re curious and you want to get to know me on a different level, make sure to listen in and find out! I look in the mirror and I don’t always love what I see. When I feel fat, my first instinct is to eat less and work out harder. I still use toxic products. I stop doing pretty much all stress-relieving techniques when I get stressed. I have been out of ketosis way more than I’ve been in over the past few months, and I’ve been feeling really good not being in ketosis. Keto is a stepping stone for me to do something even greater. I think you’re trying so hard. I think many of you are missing the bigger picture. The stress of keto is making you worse. You might not ever lose weight. It doesn’t always have to be hatred that you feel when you look into the mirror, and that’s actually something very powerful and therapeutic for you to start approaching in your own life. Every time you go through something stressful, it will get easier and easier for you to call up stress-relieving techniques when you need it most. It’s very hard to be a health practitioner in a strong diet community. Trying too hard to do keto can backfire. You’re failing because you’re trying too hard. You’re sabotaging because you’re trying too hard. You’re not seeing results because you’re trying too hard. A big part of healthy eating is not obsessing over your plate of food. If you’re stressing out about keto, it’s not going to do you any favors. You can be healthy and not skinny. It is much easier to maintain your health with a little bit of extra weight than it is to maintain your health while being underweight. Change how you view yourself. Stop being mean to yourself when you look at yourself in the mirror. What could be the reason that you’re not losing weight while following a keto diet? I answer all your questions regarding weight gain on keto in this installment of the Keto Hot Seat. Can I still do keto even when I have all the fat genes or is the diet just not suitable for everybody? Does going through menopause affect one’s ability to lose weight while on keto? Why is it that, after trying everything else, the only way I’ve been able to lose weight is by keeping my calories at or below 1,200? What could be the reason why you plateau on weight loss? 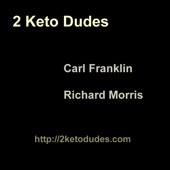 Is a keto diet suitable to cure prediabetes? Why does intermittent fasting seem to really spike my fasting blood glucose and also hold weight? Is this my body’s way of saying that I’m at the weight it wants to be? What are the differences, if any, between weight gain and systemic inflammation and weight gain during perimenopause? How can I maintain my weight loss after reaching my goal weight without staying in ketosis? Menopause is a huge change in your hormones. It’s also something that your body hasn’t gone through before so it’s a very different trend than the usual cycle that your hormones go through. A lot of times, these hormonal fluctuation cause weight gain. 30% body fat for a female is completely normal and really healthy. Even though we don’t think we have stress, it doesn’t mean we don’t have stress or that our body thinks we are not stressed. The main goal of your body is to keep you safe. So it really wants to make sure that when it comes to weight loss, that it’s happening from a safe place. It is nearly impossible to lose healthy weight if your blood sugar is out of whack, especially if you have high insulin. Weight loss does not equal a balanced blood sugar. Just because you lose weight, it does not mean that your blood sugar is great all of a sudden. Weight gain from inflammation is essentially water retention, and it feels that way. Inflammatory weight gain is distributed pretty evenly throughout the body, whereas actual fat gain is kind of focused on key areas of the body. When you’re doing the keto diet, make sure you’re getting a good variety of fats. Why should you consider going dairy-free? And if you think you can’t go without it, what are your options to be the healthiest version of you while still consuming it? 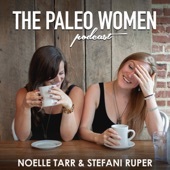 Take a listen and be informed as I share all that I know about dairy. Pasteurization is a process that involves putting the milk under high heat, which destroys enzymes and results in diminished vitamin content.